Someone on Facebook has this pretty copper trophy engraved "Moth - 1949 - First" and they are curious as to the provenance of the trophy. There is a current international class of boats called Moth that existed back in 1949. Please contact Strother if you know what this is. Thank you. The Matthew Fontaine Maury Bowl, named after the pathfinder of the seas, is given for outstanding contributions to sailing at FBYC and beyond. At the Commodore's Ball, Commodore Ted Bennent announced that Jere Dennison is this year’s winner of the Matthew Fontaine Maury Bowl. 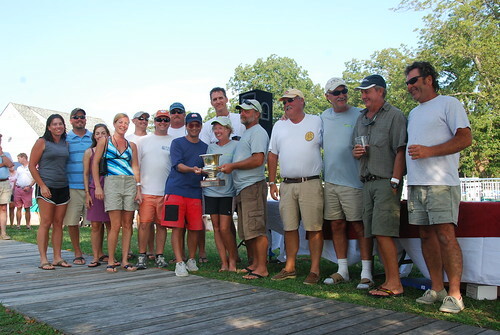 Fishing Bay Yacht Club held its Annual Meeting and Awards Party on Saturday at the Commonwealth Club in Richmond, VA. The following is a list of all of the 2016 recipients of the club's perpetual trophies. The Trophy Committee will receive nominations until September 29th for the following perpetual trophies to be awarded at the Annual Awards Party in November. The Trophy Committee will receive nominations until October 7th for the following perpetual trophies to be awarded at the Annual Awards Party in November. Dinner tickets have sold out, but Dessert and Dancing tickets are available through Friday, November 14 (today) at 5pm. Come at 8:30pm, nibble from the fabulous dessert table, and dance the night away on the dance floor to the Motown band. Do not find yourself the only sailor in town who did not make it to the party! COAT AND TIE REQUIRED AT THE COMMONWEALTH CLUB. Ladies, throw on your favorite cocktail dress. It is time to get dudded up and celebrate the end of another wonderful year at Fishing Bay Yacht Club, and the end of our 75th anniversary. Hop on over to the event website to register before time runs out! Commodore's Ball November 15th, Register Now! Register today for the Commodore's Ball! Never been? Don't miss it this year! During the dinner hour, the annual award ceremony will take place - don't miss who gets the Piankatank Award! FBYC TROPHY COMMITTEE SEEKS NOMINATIONS! The Trophy Committee will receive nominations until October 8th for the following perpetual trophies to be awarded at the Annual Awards Party in November. Fishing Bay Yacht Club held its Annual Meeting and Awards Party on November 10, 2012 at the Westhampton location of the Country Club of Virginia in Richmond, VA. The following is a list of all of the 2012 recipients of the club's perpetual trophies. COMMODORES' BOWL – awarded on an alternating year basis to the outstanding Offshore or One Design skipper in FBYC sponsored sailing events for the year based on performance and participation. 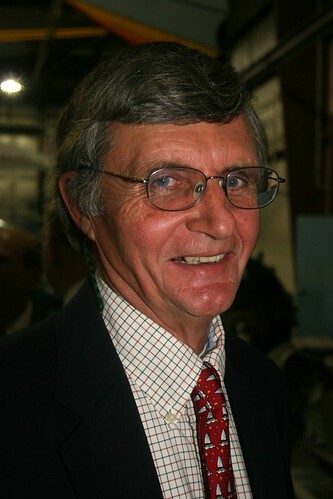 (2012-One Design) John B. Wake, Jr.
A slide show of all 2012 sailing events will be shown continuously on the Club’s big screen. After dinner, dance the night away to the smooth sounds of Rosetta Stone. Music provided by Bruce Sullivan and Rosetta Stone. Jon Moody has extended the registration period until 4:00 p.m. on Thursday, November 10th. If you have not made your reservations, please do so now. Register and pay online with a credit card at http://www.fbyc.net or contact Jon by email at themoody5@msn.com. You are invited to enjoy this great event with friends and family. Share sailing stories of 2011 and make plans for 2012! A slide show of all 2011 sailing events will be shown continuously on the Club’s big screen. 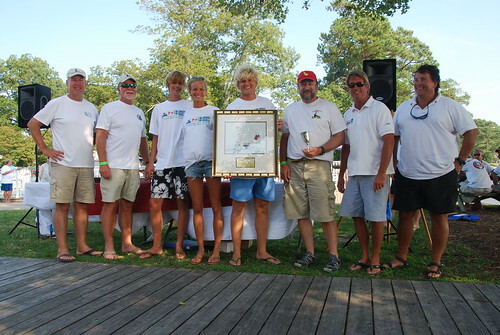 FBYC's own Rear Commodore George Burke was awarded the Sportsmanship Trophy by John McCarthy, Chief Judge at the event. George sailed REVEILLE in the races, and then came ashore and worked really hard to make sure the land activities worked well - and indeed they did. Thank you George. Dennis Hannick and the crew of GOIN' won their fleet and the Brenton S. Halsey Jr. Memorial Trophy as the top boat at Stingray. The crew of GOIN' is pictured with three of Brent's children. 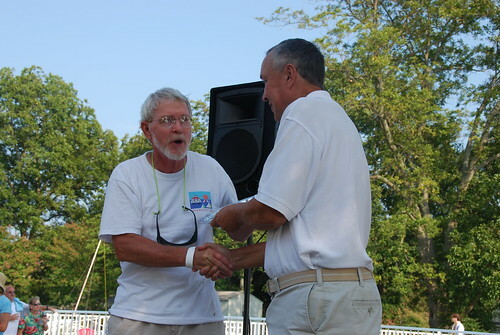 The awards for the Urbanna Race and the 2011 Offshore Spring Series will be presented Saturday May 28th at 5:45pm in front of the barn at Rosegill. Skippers, if you think you are receiving an award please plan on attending the ceremony or having a representative there on your behalf.